Over Christmas Piglet discovered the wonderful world of tutus. To which you can find her most days trotting around the living room wearing one of her tutus (or all of them) she is slowly gathering (as you can never have too many tutus in your life!). Whilst she loves twirling around the room you’ll also find her with a book in her hand. As she is getting older and chatting more she is really loving storytime. The ability to point out the things she recognising on the pages ahead of her. From the stories she has heard a hundred times to the newer ones that have sparked an element of her personality. 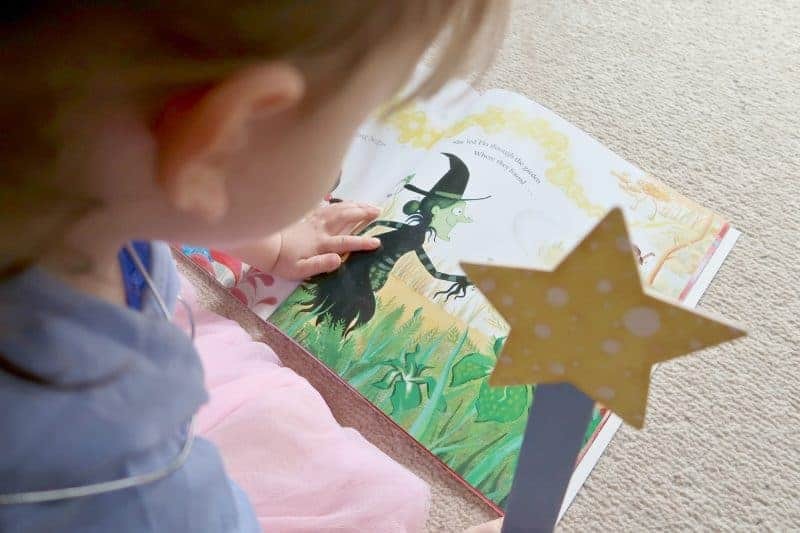 One such book is Molly’s Magic Wardrobe… a beautiful new book that offers that interactive element to story time. There are so many costumes to choose from in Molly’s magic dressing-up wardrobe. Today she’s going to be… a fairy! 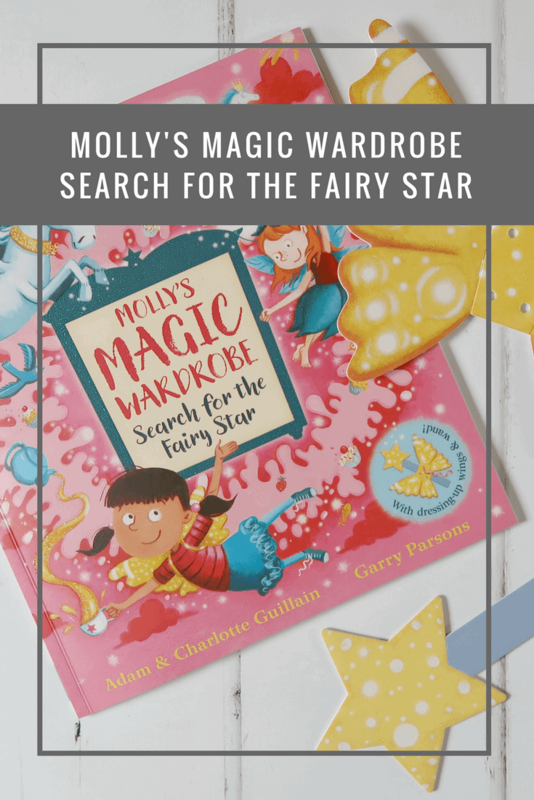 With a whizz, and a pop and a shower of stars, Molly is off to Fairyland on a magical mission to help a fairy find the lost star from her wand. They say you should never judge a book by its cover, however, taking a look at the cover of Molly’s Magic Wardrobe it’s hard not to. The pink, the sparkles, the fairies and cupcakes are all pleasing to the eye. With Piglet declaring ‘so pretty’ as she spotted it sitting on top of her bookcase after naptime. Opening the front cover you discover the dressing-up wand, with the fairy wings on the inside of the back cover. Adding a piece of elastic to the wings, Piglet was all set to sit down and enjoy the story… well once she had added a tutu as well! The story starts with the introduction to Molly who is at her Granny’s house on a cold and rainy day. Whilst playing she discovered some sparkly things in her Granny’s wardrobe. Shiny golden wings, which once she put on whizzed her away to fairyland. Meeting a fairy called Flo, Molly helps her go in search of her lost star from her wand. With each new page offering Molly and Flo a different place to look for the missing star. Along the way, they happen upon a number of different things. From a giant, a big grey wolf and a witch. Whilst you might think that this adds an element of scariness to the story you’d be wrong. The authors have turned the traditional stereotypes of these characters out the window. Making them approachable, helpful and kind. A beautiful and colourful storybook which has been illustrated fantastically. It certainly adds additional interest to the story as we sit down to read. With something new to spot each time we turn the pages. 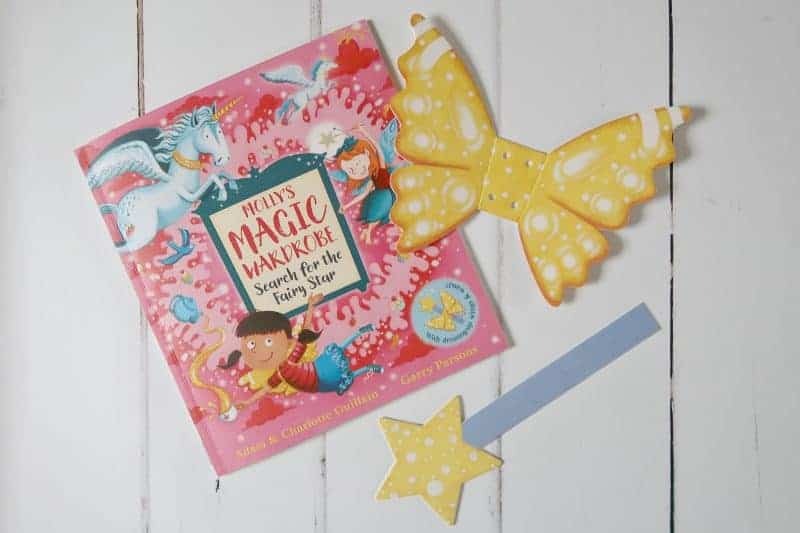 The dressing-up wand and wings make connecting with Molly that little bit easier, plus you could hide the wand around the house and go on your very own search for the fairy star. It’s a feel-good story that showcases the benefits of friendships and helping each other. I do hope that there will additional stories in a similar format. I wonder what dressing-up outfit Molly will wear next? Molly’s Magical Wardrobe is available to buy from Amazon. This would be ideal for giving as a children’s birthday gift. Aww, look at her all dressed up – what a nice touch to add the costume with the book! It looks like she’s really enjoying reading it! What a beautiful little book. 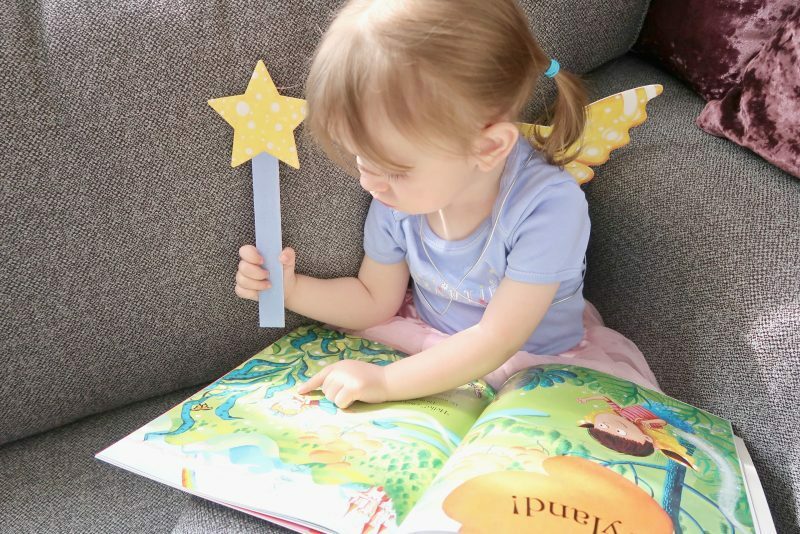 My daughter is a little bit older but she still loves this kind of book – and loves dressing up in fairy wings! I absolutely LOVE interactive books and this one looks adorable. Such sweet photos, too. Looks lovely! I have a new niece so I will keep this in mind for when she’s old enough to know what a book is! It sounds like a very easy read and perfect for the inspiring little witches! I love how bright the illustrations are. What a cute idea! My girls love dressing up too!